Sealed seams are used throughout for maximum protection. 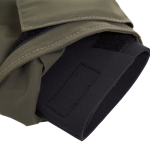 Neoprene inner cuffs are used to prevent water ingression and the outer cuffs are fully adjustable for comfort. 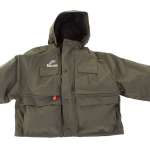 The jacket features a peaked hood with draw cords for extra protection and is a high necked design for extra warmth. 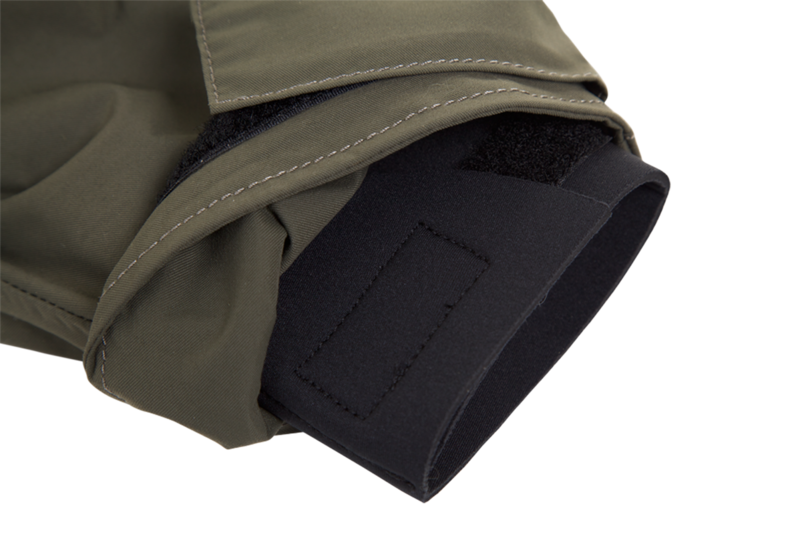 In addition, there are detachable fleece lined hand warmer pockets. There are large front and rear pockets for carrying equipment and the jacket also includes front rod holders and rear net holders. The inside of the jacket features a mesh lining for comfort.